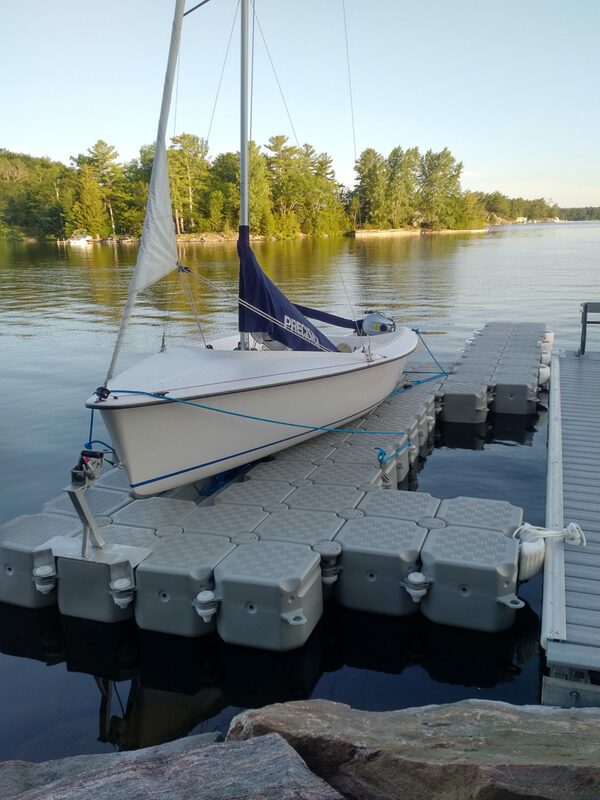 A VersaDock technician travelled to this remote and beautiful lake in Ontario, Canada, to carry out the installation of a floating Sailboat Dock (our Drysail Dock) which will be used for a 18ft Precision Sail Boat to be kept out of the water. The boat owner can now easily launch and recover his boat whenever he wants by himself just by using the complete fore / aft winch system which is included in the system. The boat can now be kept 100% out of the water which keeps it clean and accessible for maintenance 24/7. Importantly, in this climate, the dock can also be left in the water all year round even if the lake freezes over. 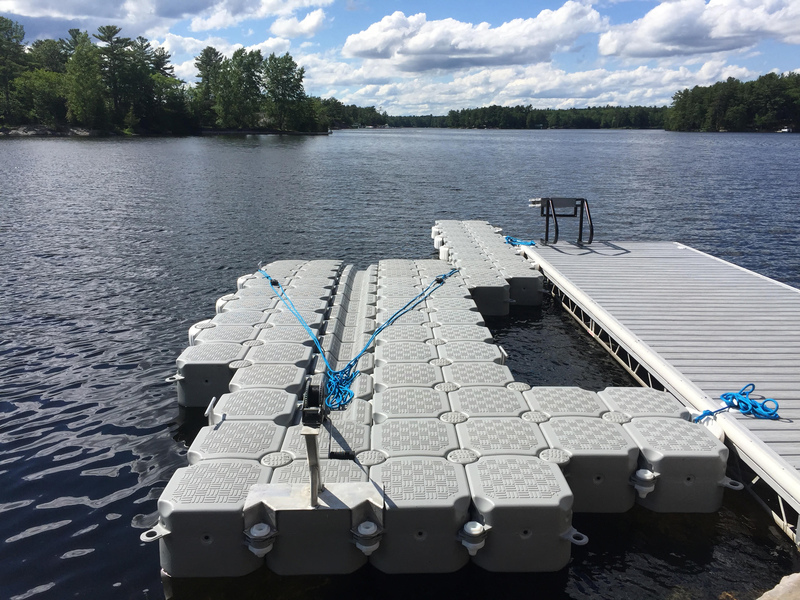 The Dock was built in just a few hours, using 74 VersaDock easy-to-assemble modular blocks.